The Reset Network is the only travel guide where you can find recommendations by what you're personally seeking. It's a space for like-minded travellers to share the places that have positively impacted them. Get involved! Share which places you would recommend and what for on the Reset Facebook page or via email so that the network can keep growing. I recommend Carezza if you’re looking for somewhere to take some time out and recharge yourself. I was expecting to feel cut off from civilisation for the duration of my stay, but it did me the world of good. It was so refreshing to be in different surroundings - mountains in every direction and breathing in fresh air. It was nice to be able to take leisurely strolls instead of dashing around to see the next tourist hot spot. The only exception was the nearby lake, Lago di Carezza, which is truly a one-off. This was one of my favourite places I stayed in Ghana. It's a little non-for-profit eco-lodge a few hours outside of Accra on the coast. After working at a travel magazine for so long, I had stayed in hundreds of luxury places. Meet Me There was a breath of fresh air – brightly coloured huts on the water's edge, incredible local food and really welcoming staff. It had a really warm and grounding energy. We did day trips down the river to see some of the small fishing villages, ate red red stew at local beach bars and drank cold beers at sunset. Simple and effective. 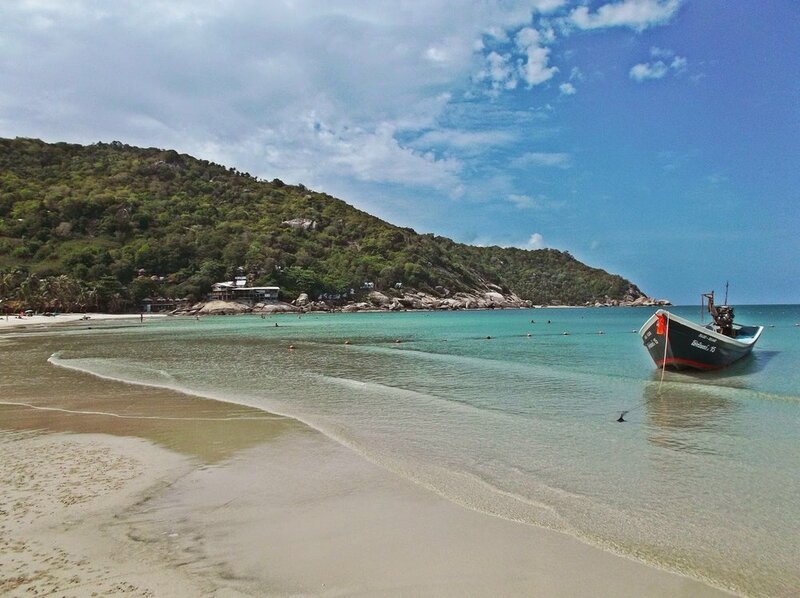 Backpacking Thailand gave me the confidence and self-ease of Rihanna IT WAS THAT GOOD. I distinctively remember the last day of my trip, walking through a market in Bangkok and feeling so assured and content in my own skin. Any worries about what anyone else was thinking was long gone and I was able to see everything with a much better perspective. I think it's a combination of the laid-back country and the style of travel; once you realise you can navigate a foreign country on your own and on a budget, you automatically feel a surge of confidence. I really recommend Thailand the first-time solo backpackers looking for a taste of freedom/independence. This place is where confidence kicks in, with high energy. It's run by my friends Ally and Jian, who wanted to create a space for people to feel comfortable and confident when they're working out. No gym equipment, just kickass classes led by inspirational men and women in the Vancouver community. Ally also runs a retreat called Ladyvana (and Girlvana, aimed at nourishing teenage girls through yoga and meditation), out on Galiano Island an hour or so from the city. She is a force unto herself - yet her main superwoman quality is instilling a rich sense of self-love, self-care and self-confidence in all women she teaches and connects with. Soul and Surf reminded me what it was like to be a child again. It had been a long time since I had learnt an entirely new activity and surfing was so much fun - the first time I went shooting towards the shore I felt pure joy and couldn't stop laughing. Everything about Soul and Surf is perfect. Everything feels simple there. I really recommend this place if you're looking not just for some time out but for a place to rediscover your love for life. It's a great place for solo travellers to meet others as well - you can read my full review here. I recommend Bali if your life is in need of a little magic. A break from the mundane, a need to believe that your life will be special and meaningful again. I felt really chilled backpacking the north of Thailand. Pai was great because of the landscape; the big hills surrounding everywhere. Driving around on my bike, I felt free and had no worries. Chiang Mai was great as well, especially visiting during Songkran and walking around the night markets. I am constantly inspired when I'm walking around East London. Even the mundane things look like art to me - the corner shops, tower blocks and train stations. Even though I could just walk around and be inspired, there's so much on that aids the creative process as well - writing clubs, life drawing classes, indie cinemas, art exhibitions. I really recommend staying in East London to any creatives visiting the city - my favourite area is Dalston. I recently visited Cuatres Finques on a press trip, which I organised for myself as I really needed somewhere to combine my love of travel, a place to shoot great content, a corner to fully unwind... and like they say, a chance to recharge. Cuatres Finques is a family run, boutique and luxury hotel in Jalon, Spain. Whilst I felt I was away from it all (due to the extreme peace and quiet), a busy town was just a 20minute walk away. Staying within the confounds of the property was incredible as the hotel owner Nicky was always on hand for a chat, quick or long. She was full of recommendations and equally fascinating information - like the fact that everyone who visits Cuatres Finques can never explain their reasons for visiting for the first time except they were drawn to it - and likewise, once you are there, it gets even more peculiar as guests usually share much in common so its wonderful as you can create, as well as relax and network all in one trip but without feeling pressurised. Cuatres Finques is far from contrived, it's an absolute pleasure to stay in. This is the vineyard I am working at, one which is steeped in its own history, but also where I found my feet as an adult. It's a property with an energy which is wholly nourishing and loving - mainly down to its owners, Anna and Gary, whose love and energy is boundless. You can walk through the gardens and meet Ken, who is a legend in his own right, a peaceful warrior full of life and tales to tell of his California upbringing in the 60s and 70s. Or you can spend an afternoon in the tasting room drinking Campovida's amazing wine, or you can stay the night and soak it all in after hours. I can't think of a more vital and welcoming place in wine country. I loved this town in Sri Lanka. It was so green and mountainous and you got to see more of the locals. Taking the train from Ella to Khandi through the mountains was incredible. I don't know what it was but this absolute feeling of contentment came through my body - it choked me up, it was the weirdest feeling. I think I can honestly say it's the happiest I've been. Vedado is my favourite neighbourhood in Havana. Cuba is the place I feel least anxious. It offers a sense of community and connection that I was craving growing up in the United States. I really recommend walking the Malecon in Havana - in the evening you should visit Olala Bar (previously known as Sarao's). Loutro is one of the few places I have felt properly relaxed and disconnected from my busy life/work. It's a place that can only be accessed by boat or by foot (but it's a long walk). I would recommend relaxing on the beach and eating at one of the many tavernas where you can eat right by the sea. 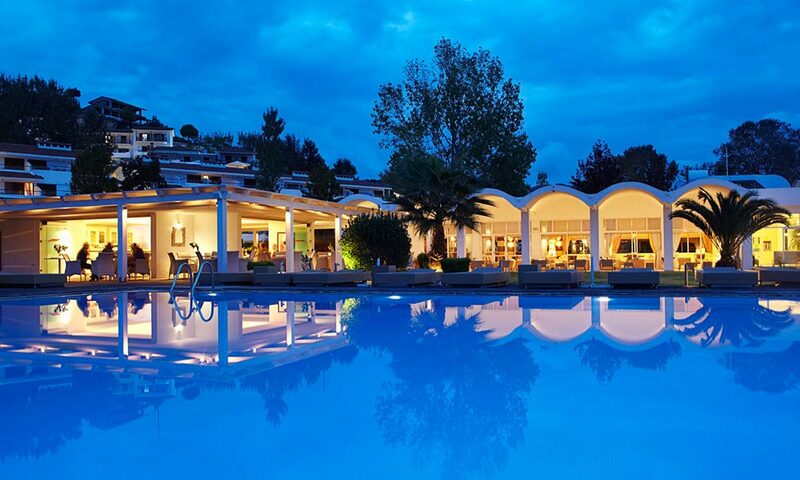 Princess Skiathos is the place to go if you want somewhere that has everything on your doorstep. There's nothing you need to worry about here - the private beach is metres from the pool, which is metres from the bar and restaurants, which is metres from the cosy indoor chill area. The food is amazing and the service is incredible. I really recommend this so anyone who needs time out and wants to feel looked after.